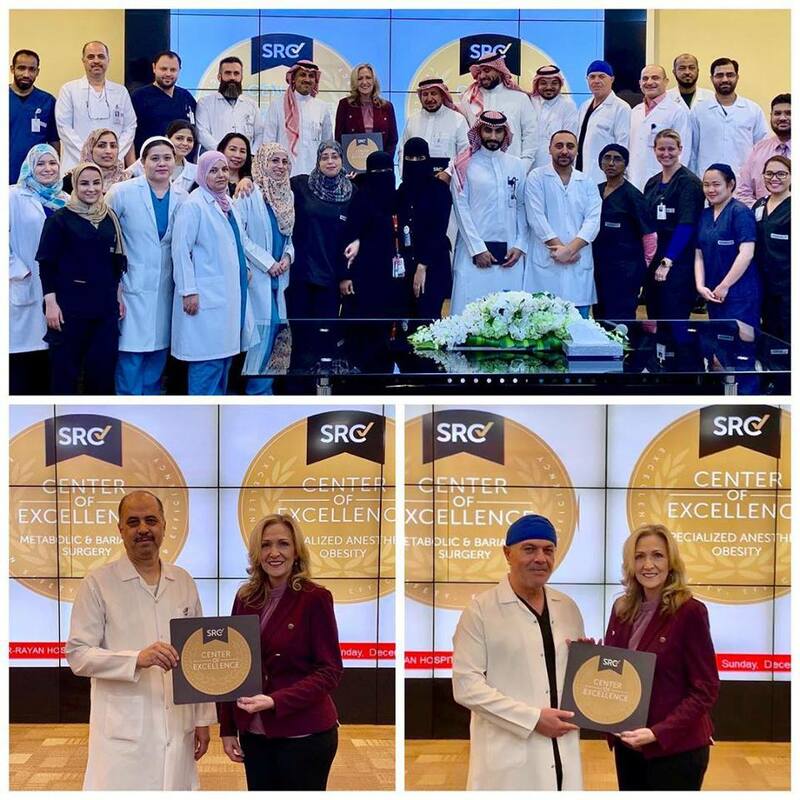 Congratulations to Dr. Sulaiman Al-Habib Hospital, Ar-Rayaan, Riyad in Riyadh, Saudi Arabia on becoming dual-accredited as a Center of Excellence in Metabolic and Bariatric Surgery (COEMBS), as well as a Center of Excellence in Specialized Anesthesia – Obesity (COESA-O). Congratulations also to Dr. Ayman Basheer (COEMBS) and Dr. Mustafa Syam (COESA-O). Site inspector, Teresa Leath, awards COEMBS and COESA-O.